A Cosmopolitan pretty please! Tonight we're heading to one of these fancy Manhattan cocktail bars, wanna join?! 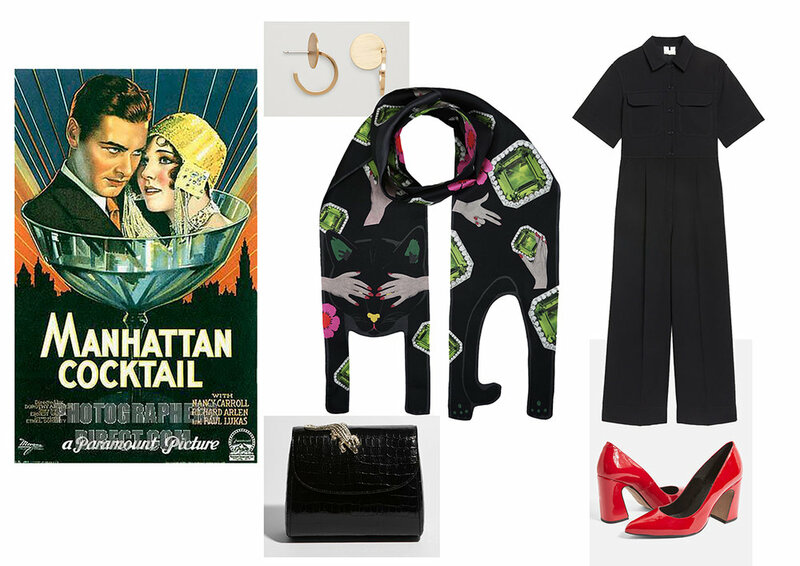 Shop the look: Earrings by Cos, Cat Scarf by Cléo Ferin Mercury, Crocodile bag by Amelie Pichard, Jumpsuit by Arket, Heels by Topshop.